LORE: Frank Lockhart qualified on the pole for the 1927 Indianapolis 500 in his Perfect Circle 91 Miller. Lockhart led the opening 81 laps, and a full 107 before his car broke a connecting rod, setting an opening lap-leader record that stood for 64 years. 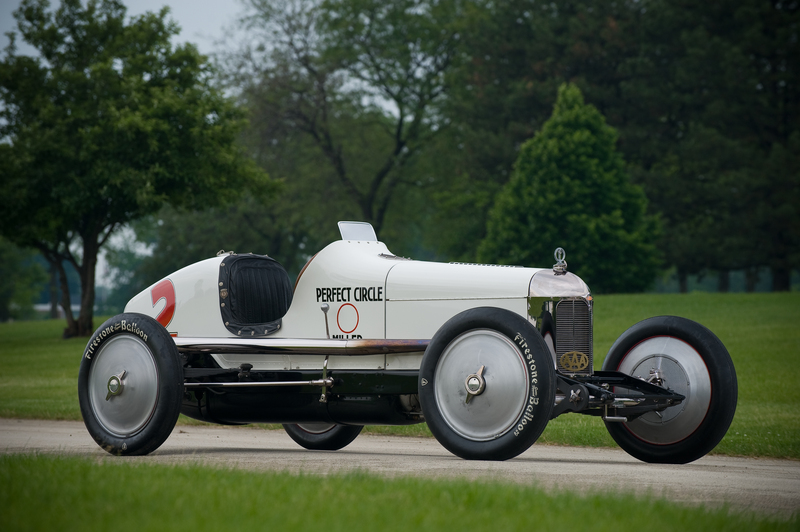 The Perfect Circle 91 represents the epitome of 1920s American race car design and ownership. Teetor Brothers of Perfect Circle Piston Rings became friends of Orange Howell through the marriage of his grandson Ralph Howell to one of Frank Teetor's twin girls. Those two ladies could drive and clutch smoother than any man at the shop, hence the origin of "Fast Cars & Women".